1. Reading – I am still reading Jodi Picoult’s A Spark of Light. However, around this time of year, I like to read a couple of Christmas themed books as well. 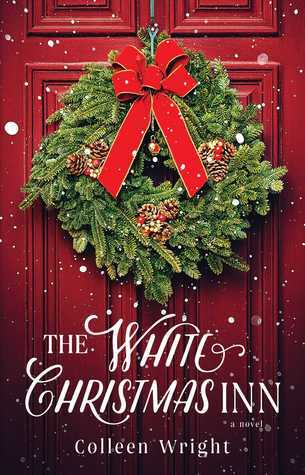 So, I’m also in the middle of reading The White Christmas Inn by Colleen Wright. It’s one of those feel-good books where you know everything will end up working out. So basically, a good holiday read! 2. 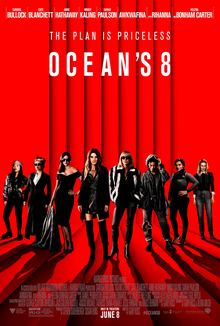 Watching – Last weekend we watched Ocean’s 8. This was the first Ocean’s movie that I’ve seen and I have to admit the only reason I watched it was because of the all-female cast. I am happy to admit that I really enjoyed it too! 3. 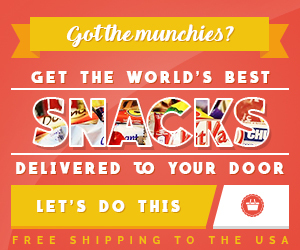 Snacking On – My husband and son went to HMart, a large Asian grocery store, and picked up some snacks. So far, we’ve tried these Ppushu Ppushu Korean noodle snacks. They are crunchy, ramen noodles that you break up, sprinkle a seasoning packet on and eat up. I’m sure they aren’t the best for you, but they were tasty! 4. Christmas Card Picture – I am happy to say that we got the Christmas card picture taken last weekend! I knew that I wanted this background at a nearby county park. The weather was beautiful, but a little chilly. My son was very uncooperative. And after what felt like hours, we finally got a keeper! I thought it was supposed to get easier to take pictures as the kids got older. But this was a challenge! 5. Cooking – The cold weather has had me cooking all the comfort food. This week, one of the winning dishes was Half Baked Harvest’s 30 Minute Butter Chicken Meatballs. It’s like Indian Chicken Tikka Masala. But didn’t take forever to cook. Tuesday I shared my October Reads. Wednesday I posted A Weekend in Cooperstown. Thursday I posted another edition of Your Best Weekend. I have not seen Oceans 8 yet but have heard so many great things. And I love that it’s an all-female cast too. Sandra Bullock is a favorite of mine. Those butter chicken meatballs look delicious. I love the backdrop for your Christmas card and I’m glad your son finally cooperated so you could get a good pic. 😀 Have a great weekend and happy birthday to your husband!